Ranging from the afternoon slump to the morning rush, the best cafe POS system will give you enhanced transaction control, menu management, and customer intelligence. With the right solution implemented in your café, servers will be able to take orders in a few taps, split checks, and accept multi-tender payments. The solution you choose should be capable of addressing specific challenges in the hospitality industry. For instance, it should offer swift transactions, flexible menu management, and mobile POS for your bustling business. When shopping for such a system, you need to consider such aspects as quick order taking, ticket tracking, flexible menu management, and payment processing. With superior sales tracking and analytics, the system will also let you know exactly what customers purchase and what sells the most. ShopKeep happens to be one of the most intuitive café POS systems in the industry. The solution is best suited for smaller businesses. This is mainly because it is a cheaper, and simpler, yet efficient point if sale system. The system is currently being used by more than 22,000 retail businesses, making it one of the most popular POS systems for restaurants and cafes. Shopkeep essentially makes it easy for you to ring up sales, add modifiers, accept payment, make returns, and give refunds. It also allows you to make discounts at order and item level. The system also offers in-depth worker shift reports that show you not only what items are selling, but who’s selling them. You can set staff schedules based on the busiest hours of the week. The Inventory manager and analytic tools are some of the most Impressive capabilities of this system. For instance, the analytic tools show which items are selling well and which aren’t. This way a cafe owner can decide what to replace or restock. Inventory management, on the other hand, makes it possible for you to track quantities of each item, set reorders, and generate a report with the reorder criteria in detail. The Shopkeep POS software requires you to pay monthly subscription fees. The provider offers several software subscription plans, with the most affordable one costing $69 a month. This plan includes 2 months of free support from a ShopKeep expert and ongoing 24/7 customer support thereafter. Its price may be perfect for small establishments, but it works well for medium-size joints too. This subscription plan also offers access to a full range of features by the provider. There is a 2-week free trial period and you can cancel at any time, if you are not happy without having to pay a penalty. This POS software also offers sales and ticket management, providing everything in an easy-to-use iPad-based interface. You can also use the built-in ShopKeep Payments or choose your preferred merchant services provider for credit card payments. Do not let strenuous management choices tie you down to your business premises. With ShopKeep, you will not need to be physically present at your business locations for things to run smoothly. In addition to the innovative inventory capabilities discussed above, the system feature real-time reporting and analytics. All these capabilities may be accessed remotely from almost any internet-enabled device. This way, the system ensures that you are always informed on how the café and staff are faring. Increased sales will translate to increased profits for your café. However, no one likes to wait in long lines. ShopKeep is equipped with the right tools to help you make more sales per hour, hence increase sales, while combating long lines. Few people have anything negative to say about ShopKeep’s apps. Some have complained about insufficient features, which has increased steadily over the years. This POS system is designed with small vendors in mind, hence has a rather limited inventory. It offers a full range of POS features, but the best one is its ingredient-level inventory tracking. It lets you tie the usage of each food item to each sale. This real-time inventory tracking is a great feature, especially if you would like to track volumes and value-on-hand of costly goods like specialty foods or organics. You can reorder accurately based on sales velocity and low-level alerts that you set up as well. If you are looking for a mobile POS solution that generates higher yields, attracts and maintains customer, Loyverse POS system will be a great choice. The system is also renowned for visualizing sales with its analytic tools and superior inventory management capabilities. With Loyverse implemented in your café, you will be able to speed up transactions and grow your customer base. With this solution, you can also send messages and e-receipts to your customers, gathering key feedback in the process. In addition to tracking the inventory, this system will also let you know whether you are losing money as a result of food wastage. The system can also rule out overbuying as one of the main causes of wastage on cafes. The system is also capable of tracking the inventory accurately at the ingredients level. This, along with sales analytics, gives you an overview of the amount of ingredients you need for each day. This way, you can buy just what is enough for the business to curb wastage. Having set your inventory threshold amounts for the various menu items and ingredients, the system will automatically notify you whenever an item is running out. The system allows for tableside orders to be routed directly to the kitchen display system. Not only is this faster, but also reduces errors in the ordering process. By showing you the exact amounts of ingredients that will be required for each order, the system makes inventory management easier. The system features a sound alert to notify you of new orders. It also gives you an overview of the order status and lets you reopen orders, if necessary. Finally, you can see all tickets at a glance with colors indicating the anticipated waiting time. With Loyverse, you can manage multiple cafes from the same account. The system is designed to automatically upload your business data to the cloud, allowing you convenient access remotely. You can grow and prosper with this system, boost sales and even run your own loyalty programs. The system also features visual analytical reports. These give you a complete overview of the business, allowing you to make informed business decisions. You will also love the back office capability of this software. This platform allows you to view transaction history in your business locations and ascertain your best-selling products. The free dashboard app provides instant access to your cafe’s stock and sales analytics at all times. From this dashboard, you can view profit, revenue, and average sales and follow sales growth, making comparisons to previous periods of time, from days to years. Some users say this POS software is not very convenient to use with Smartphones. On bigger screens, a category drop box is needed. This system is versatile and easy to use. It can be run online by multiple users. There is instant customer support and a separate dashboard. All in all, we think it’s great. 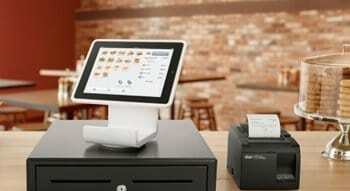 The Square café POS system is best suited for startups and small cafe operations. The popularity of this solution among small-scale retailers may be attributed to its affordability. Additionally, many café owners love the fact that the system is easy to customize to their specific requirements. Square POS software features a complete counter sales, ticket, and inventory management tools suite for enhanced efficiency and profitability. However, the café POS solution by this provider is rather basic and free. If you would rather get more robust capabilities, you may upgrade to the restaurant software for just $60 a month. This upgrade will offer you an array of additional features, including recipe lists, meal modifiers, and ingredient tracking. You can take payments and orders anywhere in your cafe via countertop register or mobile device. In this case, the software is compatible with an array of third-party hardware components. You don’t even need to invest in new register hardware If you already have iPads or smartphones. You can take orders and payments using your phone or tablet from the get-go using Square’s digital payment system. This integrated payment processor is unique in that it supports e-signing and emailed receipts. Of course, lots of cafe owners would rather run at least one register station, and you can do that too. The free version of the software allows you to run up to 100 separate registers with hardware being the only added costs. Each added terminal will cost you $40 per month if you opt for Square for Restaurants. The free Square POS plan offers countless features that cafe owners and staff have come to appreciate. 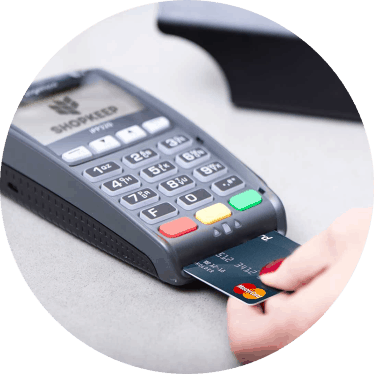 No complicated merchant provider setup and card reader integration is needed. Instead, the secure payments processor by this provider is simply integrated into the POS System. Square offers a feature-rich suite that has been proven to be highly beneficial for businesses in the hospitality business. For instance, the system allows you to create and categorize menu items, track inventory items, manage staff time, and market to customers. Square features an integrated payment processor that presents your business with a secure and faster way of accepting all latest payment types. 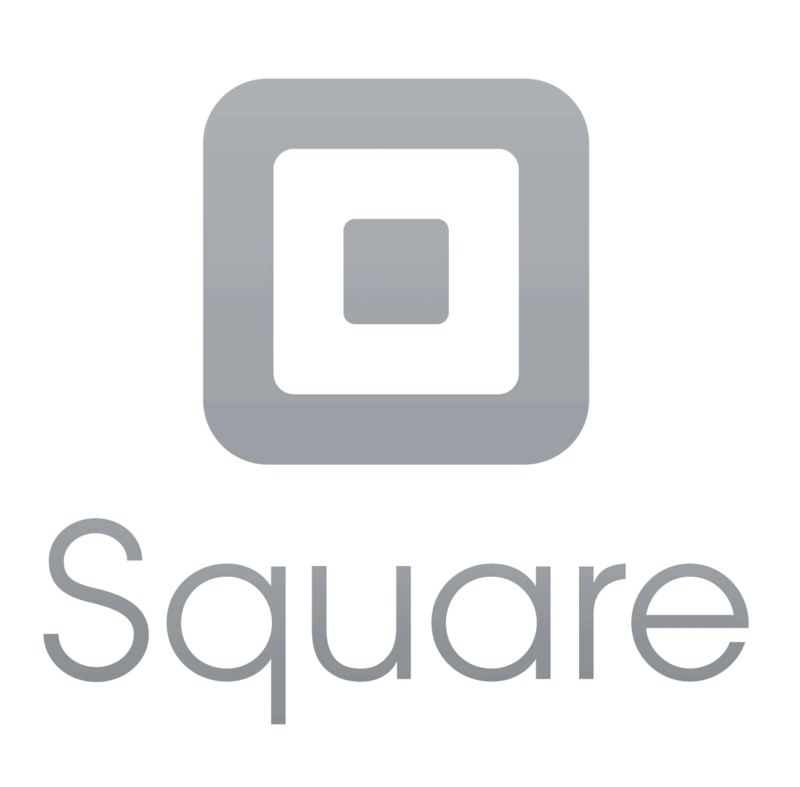 In order to simplify things, the system allows you to accept payments through your Square account. The provider let’s you choose when you would like to have your money deposited. You may choose to have your funds deposited on the next day or instantly. However, instant deposits incur an additional 1 percent fee. 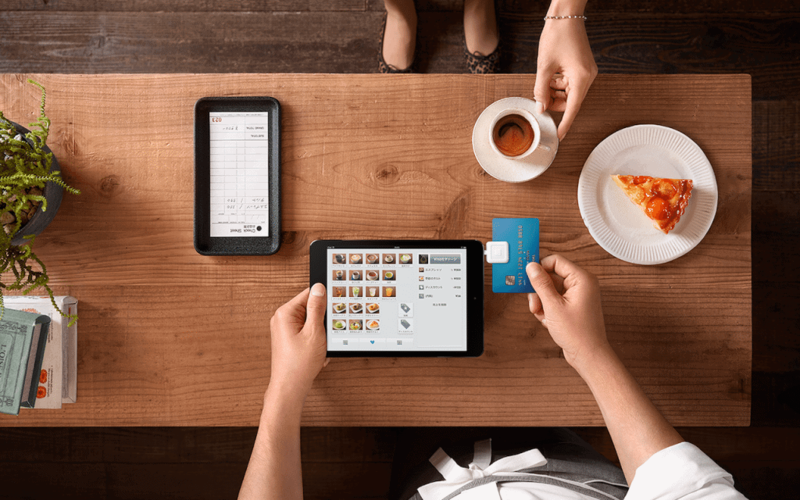 The provider also offers Square Secure—a unique suite of security tools for your café. With such tools, you need not do anything to get 24/7 despite management, fraud prevention and PCI compliance. The basic version of the software does not require any monthly, startup, or cancellation fees. However, the provider charges a processing fee per-sale if you accept credit or debit card payments. For every credit card transaction you process, the provider will charge you 2.75%, which happens to be one of the lowest rates in the hospitality industry. This is quite affordable in terms of small business credit card processing fees. What is more, the company’s fully transparent, predictable fees do not have hidden fees or end-of-month charges. Check and cash sales cost you nothing. If you’d like the Square for Restaurants option, you will be required to pay $60 per month for a single register or checkout device. Additional devices are charged $40 per month. With this plan, you will also get a low credit card processing rate of 2.6% + 10¢ per ticket. There are some hardware costs if you need one or more register stations along with the credit card processing fee. Most cafe POS systems deliver basic store management features like payment processing, menu management, sales tracking, and business analytics as well as counter sales functions. However, the best café POS system needs to be industry-specific. Your preferred POS system should have an in-built CRM capability. This feature can help your business collectable considerable amount of customer data. Most of the leading café POS solutions are meant to collect important customer information automatically at the checkout. The information is then used to compile a detailed customer database that will help you understand your customers. For instance, it will help you know the guests who visit the café more frequently or spend the most and the contents of each order placed in the business. You may then proceed to segment this customer data in accordance to the shared characteristics among customers. Analyzing this data will also give you valuable insight that will come in handy whenever you are developing powerful targeted marketing campaigns. Just as is the case with any other restaurant business, your café menu needs to be just as unique as the business itself. Basically, café orders are not known to be outrageous. For instance, customers need to be able to order decaf latte extra hot with a shot of espresso, 2% milk and a cherry on top. In order to accommodate such orders, your POS menu needs to be highly customizable. If the menu in your café is somewhat seasonal, the POS in the business should make it easier and more convenient for you to update the menu. Additionally, the system should allow you to alter the menu either on-site or remotely over the cloud. Cafes are known to receive a considerable number of customers in a day. As such, it may be rather difficult for you to identify and reward your regular customers. This is why you should opt for a POS system that features integrated loyalty programs. Basically, these programs will show your customers that you appreciate them and encourage them to come back again. The best café POS system should have mobile and innovative loyalty program capabilities for your business. 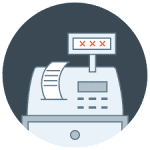 Some of the leading software solutions allow the customers to opt-in to a loyalty program through the customer facing display while signing their checks and tipping servers. In such a case, you need to ensure that the interface is simple enough for the customers to understand. Your staff should be trained to use the right ingredient portions. However, with a cafe POS system that tracks ingredients, you don’t have to rely on your memory. A good system will let you tap an item to find its recipe and description. This way even new, inexperienced employees will know exactly how to make a sandwich down to the ounce. Finally, all cafe managers will agree that checking food cost is important. Menu items need to be designed in such a way so that the cost of raw materials is lower than the perceived value of the item. This seems obvious, but it isn’t always. A good cafe POS system will give you an instant food cost calculation if you know how much of each ingredient goes into each menu item and the price of your ingredients. You can then adjust portion sizes or ingredients to hit your targets. The features outlined in this review make a busy cafe environment run smoothly, shorten customer wait times, minimize lines, and turn sales data into meaningful business reports. We reviewed popular cafe POS systems in this guide, and find that they possess the best overall features and functionality a cafe or coffee shop owner would need. 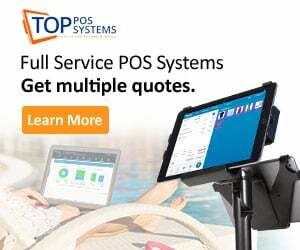 Here at Top POS Systems, our aim is to help business owners choose a reliable point-of-sale solution that helps them manage employees, increase revenue and customer loyalty. Above all, our goal is to provide you with exclusive insight on the best POS solution for your operation. ShopKeep is good software. I think there other pos software which are also very good in performance you might include. Thanks for great information you write it very clean. epos resellers I am very lucky to get this tips from you. In this guide, we'll discuss the top 10 restaurant POS systems on the market. TopPOSSystem.com was established to help business owners find the best point of sale solution for their operation. Being the largest and most dedicated site for POS reviews, we examine each POS system and category in detail, helping you make an informed business decision. © TopPOSSystem.com - All Rights Reserved.